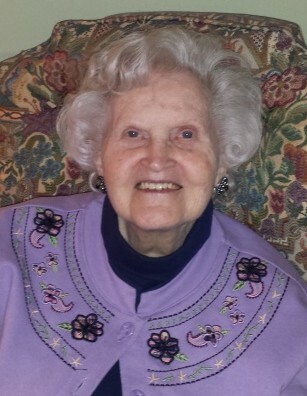 Shirlee Elaine Peterson Jacobs, age 91 of Laurinburg passed away Tuesday, February 12, 2019. Shirlee was born May 20, 1927 in Ottawa, Illinois, a loving daughter of the late Gustave Peterson and Ella Anderson Peterson. She retired after many years of service from Pilkington Glass, Inc. She was a member of St. Luke United Methodist Church where she faithfully enjoyed serving and had a heart for missions. She was an avid baseball fan of the Chicago Cubs. Shirlee enjoyed her time at Prestwick Village and was a friend to many while living there. Her greatest joy was spending time with family, especially her grandchildren. She was a loving and devoted mother, grandmother, great grandmother, sister and friend who will truly be missed. Along with her parents, she is preceded in death by her daughter, Christine Tompkins and siblings, Ronald Peterson, Constance Terry and Gusta Jean Bolam. She leaves behind her sons, Robert “Jake” Jacobs of Grand Junction, Colorado and Ronald “Ron” (Linda) Jacobs of Phoenix, Arizona; three grandchildren and four great- grandchildren; son-in-law, Ray Tompkins of Laurinburg, along with a host of nieces, nephews and many friends. In memory of Shirlee, the family requests memorial donations to be given to St. Luke United Methodist Church, 1501 Turnpike Road, Laurinburg, NC 28352. Funeral services will be conducted at 11:00 a.m., Friday, February 15, 2019 at St. Luke United Methodist Church, officiated by Rev. Billy Olsen. A time of visitation will be begin at 10:00 a.m. prior to the service at the church. She will be returning to her home town of Ottawa, Illinois for visitation and service at Mueller Funeral Home followed by burial at Stavager Cemetery.